Those of you on the Dukan diet may be wondering what type of drinks you're allowed to consume while dieting. So what drinks are you allowed to have on the Dukan diet? The first and easiest thing that you can drink is water, water should be the main beverage that you lavishly ingest during the Dukan diet, as there's nothing better for you. Water has no calories and no sugar, so there's no way your going to gain weight by drinking it. Besides, your body is made up of mostly water anyway. If you don't drink anything for 3 days you could find yourself in the hospital or worse. That's how vital drinking water is to your health. Don't forget that you can also drink sparkling water, or club soda. Water is perfect for weight loss because you won't be consuming any calories, and it's natures perfect way to stay healthy. Other beverages that can be included in your Dukan diet are tea, coffee, hint, skimmed milk, diet soda, vegetable juice and anything that doesn't have any sugar and fat. Feel free to drink any type of tea through out all phases of the Dukan diet, provided the tea is only sweetened with zero calorie sweeteners. Green tea is one of the best teas to drink because it's full of catechins, these are antioxidants which act as fact blockers and fat burners. They stimulate enzymes that burn stored body fat. 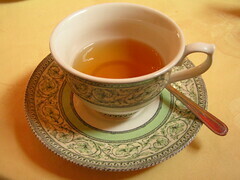 Teas also contain calcium, tannins, magnesium, biotin, amino acids, vitamins D & E, flavonoids and fluoride. This makes tea great for maintaining healthy bones, teeth, brilliant for boosting your immune system and good for your heart. You're allowed to drink as much tea as you can handle. Dukan dieters can also drink coffee, ah coffee, this is a great drink that enables you to stay awake because of it's caffeine. 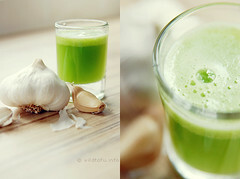 So if your an early riser or a person who likes to stay up late, then this is a great drink for you on your Dukan Diet. You can drink as much coffee as you like, but make sure you don't drink it excessively, as too much caffeine is bad for your heart. If you've never heard of the drink called Hint, it's because it's a relatively new product that was created by a mom for her thirsty kids. She wanted something healthy for her kids to drink without all that sugar. You can get this product from stores, or you can make it yourself. Basically it's water with added flavor from berries, vegetables, and other foods. You take water, purify it through a filter, then just add flavorful food and then let it soak for a few hours. This drink has no sugar and absolutely no calories, so it's perfect for drinking, you won't be drinking plain water and you'll have a hint of flavorful freshness. You can start with things like lemon, lime, cucumber & mint, or other vegentables & herbs, and later on in the diet (Consolidation) try some fruity flavours. You can drink skimmed milk too, it's known for having no fat content and is a great source of calcium and protein. It's one of the good ways to get calcium to help strengthen your bones. Skimmed milk will be lower in calories and help to prevent you from gaining fat. 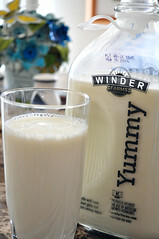 Skimmed milk contains, protein, potassium, low sugar, some sodium, calcium and low sources of Vitamins A and D.
However skimmed milk is not free of calories and it counts towards your daily dairy limit so it's great to drink from time to time or create other dishes with it like porridge for example. Even diet soda can be taken on your Dukan diet, as it doesn't have any calories and it uses artificial sweeteners. However, why would you drink diet soda when you can just drink something that tastes good like vegetable juice or flavored water? Well despite the controversy surrounding diet sodas they are a great way to deal with cravings for sweets in the Attack phase while staying hydrated. And if you're already drinkig plenty of non-diet soda the sugar free variety makes it easy to wean yourself off it. Basically, diet soda has no nutritional value, so if you don't want to gain any weight then you should try it. Be for warned though, diet sodas can be bad for your health if you consistently drink them and they are addictive. Vegetable juices are perfect once you are in the Cruise phase, but be sure to stay away from canned vegetables and vegetable refreshments which have high sugar and salt content. Fennel, celery, cucumber, parsley and wheatgrass are some non starch choices. Carrots tend to be sugary so be careful to drink it in low amounts. If you love the taste of vegetable juice then you'll have to make sure you get a home juicer, then you can make all the veggie juice you want. Last of all, you are free to drink anything that doesn't contain any sugar or calories on your Dukan Diet. To continue keeping off those pounds and loosing your desired weight, drink water and tea. Those are the best two options for helping you to loose weight and keep it off.